We became space adventurers this term when we had the opportunity to learn about Earth and Space. Our lessons allowed us to explore the eight planets. We were able to use toilet roll to measure the distances between each planet. Each piece of toilet roll represented 50 million Km. We found out that Neptune was the furthest planet away from the sun. After looking at the size of each planet, we found that Jupiter was the largest planet and Mercury was the smallest planet. We were able to compare the sizes of the different planets to different sized fruits. Did you know that there are eight phases of the moon? We were able to use Oreo cookies to represent these phases. We were even allowed to eat the cookies afterwards. They were delicious! In geography this term, we compared the United Kingdom to South America, with a focus on rainforests. Firstly, we located the rainforests around the globe on a world map. We noticed they were positioned in a belt around the equator! Next, we explored the layers of the rainforest and discussed what it might be like for animals living in each layer. The rainforest consists of four layers: the forest floor, understorey, canopy and emergent layer. We compared the climate of Newcastle to Manaus and noticed that it is much hotter and wetter in the rainforest! Did you know that the temperature in the rainforest is consistent throughout the year? This is very different to Newcastle, which has hotter months in the summer and colder months in the winter. We looked at the Amazon River and located this on a map. Then, we used atlases to locate the River Thames and River Wear on a map. We talked about how each river is different. Finally, we completed some rainforest art. We looked at the work of Helen Crowcher and Oenone Hammersly. Take a look at some of our work! We have had fun in PE this term. 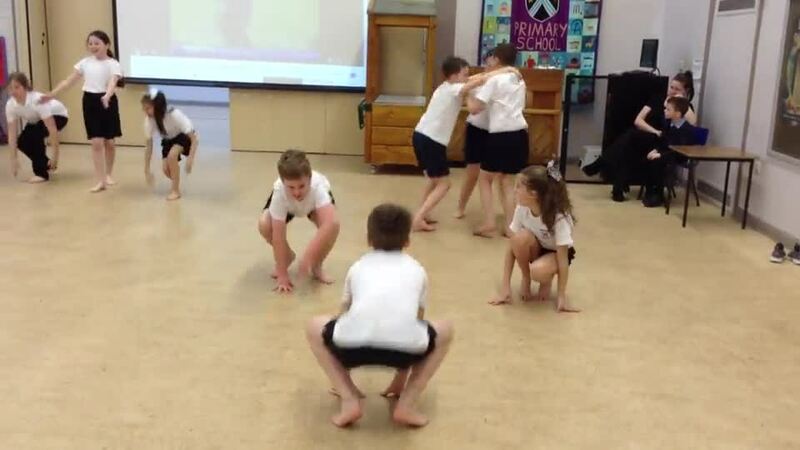 We have had the opportunity to learn the traditional New Zealand dance the ‘Haka”. 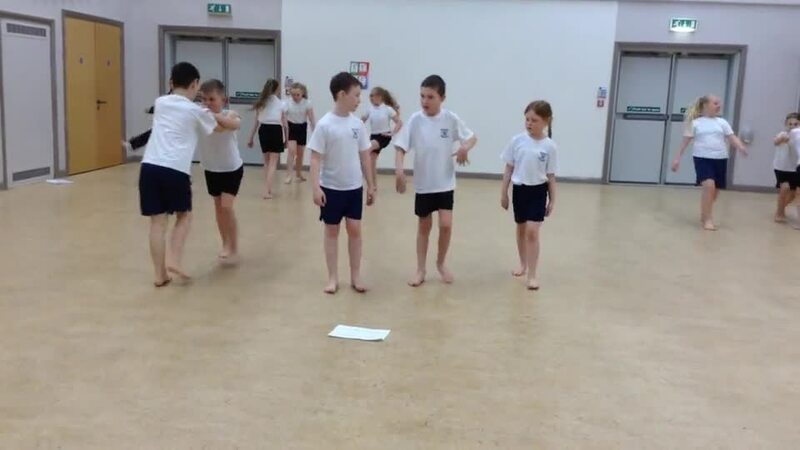 We were able to develop the traditional dance further by adding our own movements which included mirroring and canon techniques. During the Autumn term, we had the opportunity to learn about forces in action. Children were able to explore the force of gravity, friction and water resistance by planning and carrying out investigations. We even had a visit from Technology Tom and were able to make rockets, which helped us to explore air resistance. As we were experts at understanding air resistance and how it works, The Super Skydiving Company contacted us to redesign their parachute to enable people to perform skydives from aeroplanes. They wanted their customers to fall from the aeroplane as safely and as slowly as possible. This was a fun and exciting session! This term, we have looked at the geography of Mexico. We began locating some of the countries of North America and studied their climates. We are now confident at using four figure grid references to locate places on a map. We also looked at the Mexican festival known as 'The Day of the Dead.’ We linked our art work to this topic by making ‘The Day of the Dead’ masks from Mod Roc and also developing our understanding of line, tone and texture when drawing cacti. Have a look at our art work! To mark 100 years since the end of World War One, our history lessons focused on key events and developments from this period. The children enjoyed their local visit to The Lonely Soldier to pay respects to those soldiers lost in WWI. They had the opportunity to study how the role of women changed in society and they even took part in some role play where the children got dressed up as canary girls from the munition factories. The children were excited to learn about the Suffragettes and Suffragists and even took part in their very own vote! In literacy, we read the novel ‘Private Peaceful’ by Michael Morpurgo. Even though the children thoroughly enjoyed the story, we had a mixture of emotions and tears at the ending.